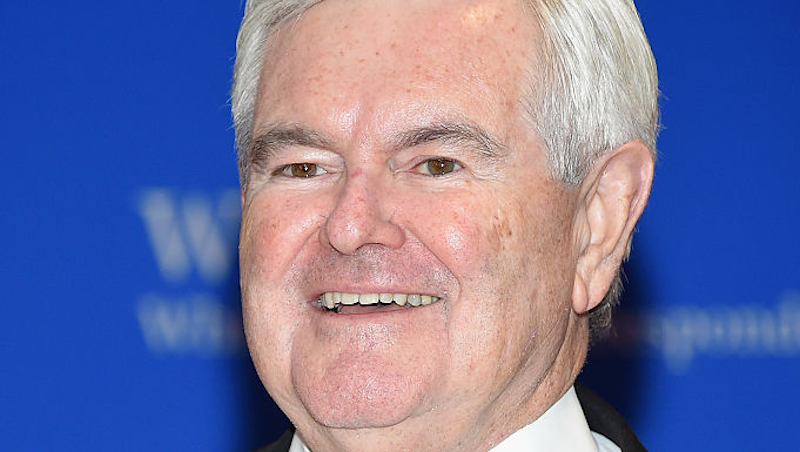 Newt Gingrich, the villainous toad in the Disney movie of my nightmares, just said that white people don’t know what it’s like to be a black American and I am so destabilized that I can no longer be certain that my life isn’t a prolonged episode of the Truman show. Setting aside the obviously disquieting use of the word “normal,” this is insane behavior for Newt! I didn’t even know that the Republican platform allowed the recognition of discrimination anymore, and here Newt is, Donald Trump’s potential running mate, showing a tiny glimpse of his own humanity. The former House speaker has an extensive history of bigotry, which most recently includes scheming with Trump about his now-infamous Frozen tweet, meant to justify the use of six-sided stars. In 2010, Gingrich told the National Review that Obama was engaging in “Kenyan, anti-colonial behavior.” One year before that, he tweeted that Sonia Sotomayor’s insistence that she had unique experience as a Latina woman was racist. Perhaps the startlingly understanding statement was the result of a Trump campaign push to be slightly less inflammatory—on Friday, the presidential turd put out a statement lamenting the “senseless, tragic deaths of two motorists in Louisiana and Minnesota.” Although it is unclear why he referred to Alton Sterling and Philandro Castile as “motorists,” instead of black men.